Resort Style Living is yours in this stunning property on the St. Croix River. 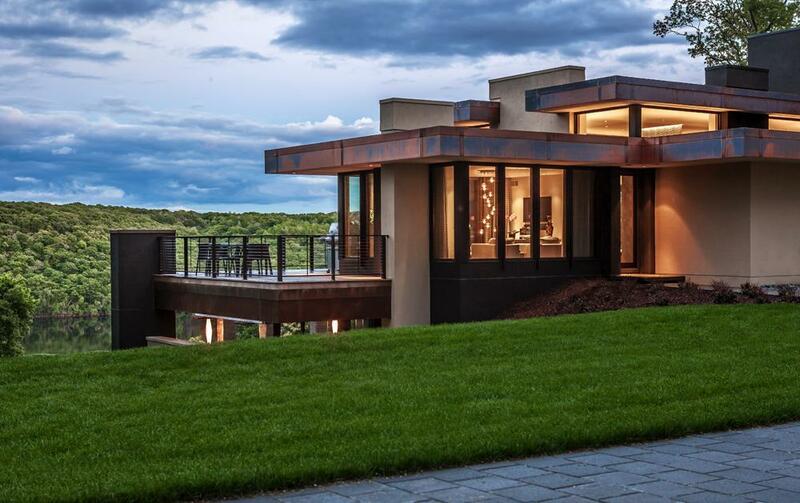 Designed by architect Charles Stinson, and constructed by Streeter and Associates. This home is situated on 11 secluded acres and 600 linear feet of lake shore, with features including 2 master suites, a 2 bedroom guest house/art studio, and a rustic cabin. Guest house square footage of 2,264 is included in the property's total square footage.